(08-20-2014, 10:07 PM)Ten*K Wrote: However, if I am in a situation as to worry about being able to get safely home, I ain't stopping for a splinter. ^I gotta go with this .^ Throw a tampon in there. Great for slowing puncture wounds and nose bleeds. Yes, add a tampon. Then add some packs of petroleum jelly. The two will combine to make one great fire starter. DeadEye;152304 Wrote: ^I gotta go with this .^ Throw a tampon in there. Great for slowing puncture wounds and nose bleeds. Rik Bitter;152159 Wrote: I thought about a tourniquet but the truth is, I don't know how or when it's appropriate to use one. I should check out the local community college and see if they are offering any first aid classes this fall. I bet I'd enjoy it and I'd be better prepared to help myself or others in an emergency. A tourniquet is only used as a last resort when you have uncontrollable blood shooting out in large volumes and all other attempts to control blood loss have failed. A tourniquet can easily cause loss of a limb. But yeah, get some training, or at least buy a book. So, you're saying that the application of a tourniquet is an admission of tactical failure? I agree. If there was a serious enough situation to warrant a GHB and you are reduced to a tourniquet, I have some bad news... You won't be wrapping Christmas gifts for the kiddies next year. 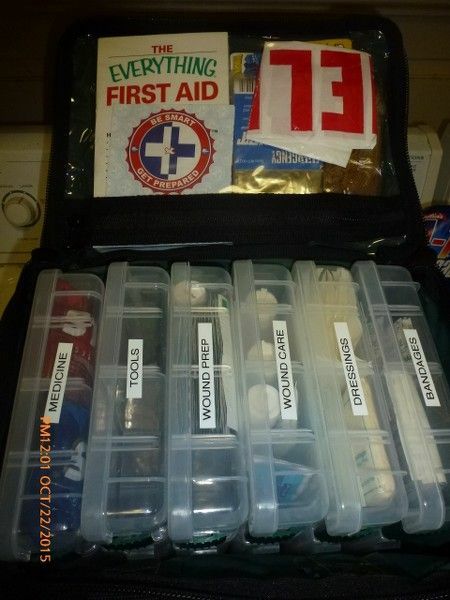 Training is key if you're going to stock your kits with more than the basics. Back when it looked like this site would have an active "prepper" section, I was posting the NOLS wilderness medicine courses. I still highly recommend them, and the courses are a reasonable cost. The higher the level, the higher the cost, of course. JustinHEMI;152385 Wrote: Training is key if you're going to stock your kits with more than the basics. Back when it looked like this site would have an active "prepper" section, I was posting the NOLS wilderness medicine courses. That's just the kind of course I was looking for. 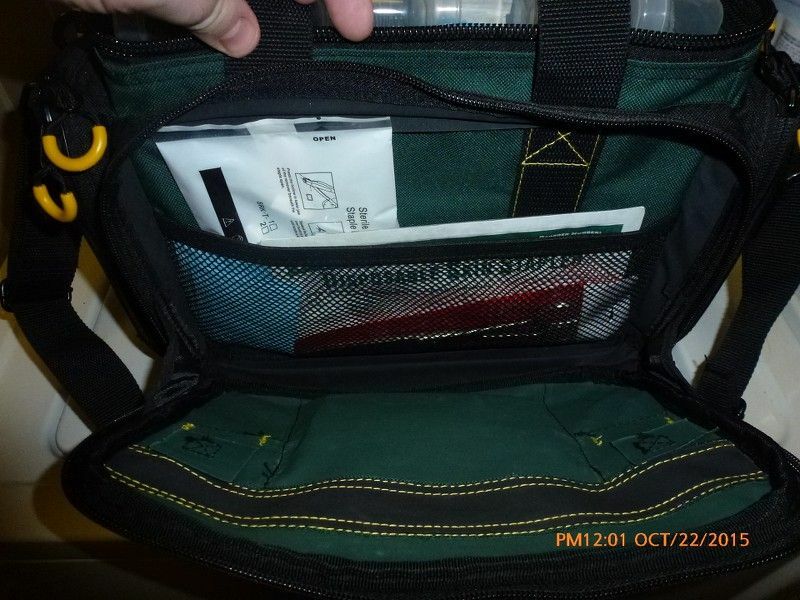 They have a Wilderness First Aid class in Bloomsburg on Nov 15 & 16 for $185. As long as work doesn't get in the way I'm going to sign up. bac0nfat;152340 Wrote: A tourniquet is only used as a last resort when you have uncontrollable blood shooting out in large volumes and all other attempts to control blood loss have failed. A tourniquet can easily cause loss of a limb. Agree. A tourniquet can save your life, but it needs to be used properly. Take a course. If it comes down to it, there are worse things than losing a limb. I could provide you some useful feedback on that one. Personally I would opt for quik-clot or similar product before using a tourniquet. All of my first aid kits have quik-clot, it's cheap insurance. Seemed like a good deal to toss in with the family FAK. We were looking for something we could use as a Family First Aid Kit, something that we could easily take and toss in the car if we had to go quickly. 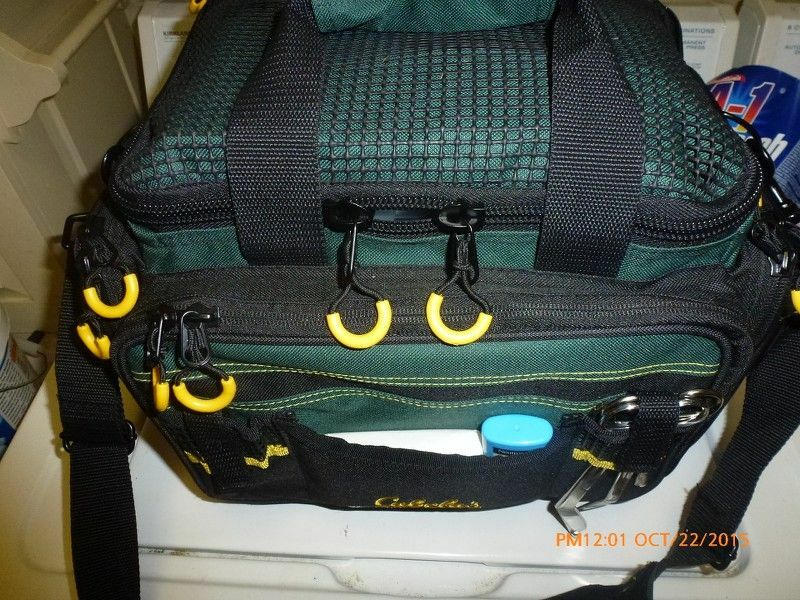 We found this bag in the Bargain Cave at Cabela's over the weekend for $63, normally $80. My Pulse/Oxygen Monitor will be here today and I think it'll fit in one of the plastic bins. I just wish my blood pressure cuff fit in it.